Gongfu means skillful way or merit of a man. It is a discipline and a skill achieved through patience, persistence and practice. 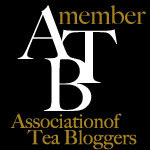 The Chinese method of brewing tea is more about the science of brewing tea rather than the ceremonial and symbolic gestures of the Japanese tea ceremony. 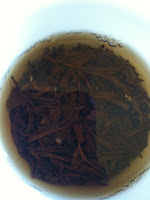 The Gongfu method of brewing tea is Chinese in tradition. The main focus here is to accomplish an exceptional and great tasting brew that satisfies the physical senses and the soul. 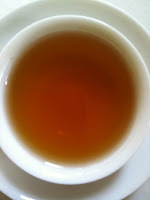 Ultimately, the Gongfu method is to connect the tea connoisseur’s soul to the soul of the tea. This black tea is exquisite for such an endeavor because the tea leaves itself has been prepared and cured by the tea masters to yield a successful brew each and every time. 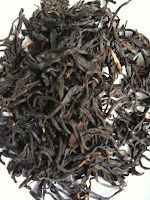 It is a supremely delicate and skillfully prepared tea that cannot be wrongly brewed by the tea fancier. Leaf: Fine tips, fermented and roasted. 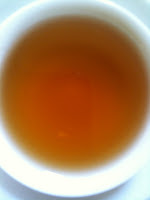 Conclusion: A boldly smooth tea. An excellent English breakfast substitutes however it surpasses any breakfast style teas. 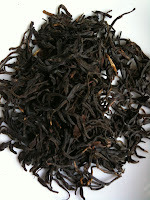 The youthfulness of the leaf tips is evident in the brew. 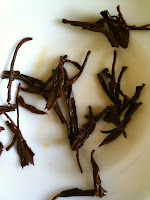 Unlike most breakfast or Gongfu style teas. 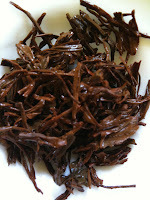 This tea has smooth tannins with no astringency.